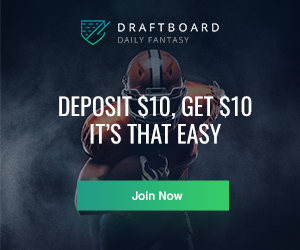 This weekly column is geared toward anyone playing in a head-to-head format, and especially those of you in weekly lineup leagues. It is a great idea to keep up with which players are scheduled to play four games during the upcoming week (12/22 - 12/28), as fantasy basketball managers can use this information to gain an advantage in games played over an opponent. Simply put, the more games played, the more potential there is for production. Based on their respective four-game schedules, the following four players should be viewed as “sleepers” for next week. 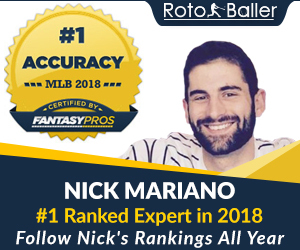 Advising fantasy owners to play the likes of LeBron James or Anthony Davis is a waste of time and effort; hopefully it is common knowledge that studs of that nature should be in lineups regardless of how many games they are slated to play. 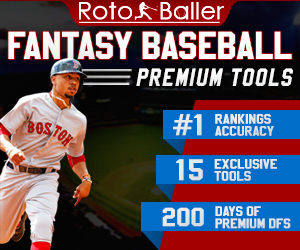 Position Eligibility & Ownership Rate Based On Yahoo! Fantasy Basketball Leagues. Joseph has played very well of late. Heading into the weekend, he is averaging 11.6 points, 4.3 rebounds, 4.0 assists, and 0.9 steals on an impressive 52.6 percent from the field over his last eight games. He has played at least 30 minutes in all eight. Since Tony Parker went down with a hamstring injury, Joseph has been logging huge minutes out of necessity. He is currently the only healthy point guard on the Spurs roster, as Patty Mills has yet to take the court this season. Coach Gregg Popovich often rests his starters, so Joseph is not only getting heavy minutes, but is also being relied on to produce. Next week Joseph will go up against the LA Clippers, Oklahoma City, at New Orleans, and Houston. He does have some tough matchups against the likes of Chris Paul and Patrick Beverley, who are both excellent defenders. However, Joseph should still be able to produce on sheer volume. It does not hurt that three out of his four games are at home. Neither Parker nor Mills are expected to return anytime soon, so Joseph should be a nice asset in the short-term. Speights is a bit of a risk because he does not play a ton of minutes. He usually checks in around 20 minutes a game, which is less than what you typically want when searching for consistent production. The fact that he does not start is also less than ideal. Despite all of these negatives, Speights still finds a way to put up numbers. He is shooting a stellar 52.9 percent from the field to go along with 79.1 percent from the line, which is very impressive for a big man. When given playing time, he has proven to be an asset in points, boards, and blocks. Coming off the bench actually helps him, and he does a lot of damage in limited minutes. His usage rate is sky high when he is in the game because the Warriors lack scoring options on their second unit. If he ever got 30+ minutes a game on a consistent basis, he would be a must-start player. The main thing working in Speights’ favor is the injury to Andrew Bogut. This has opened up more minutes for Speights to do his thing. Festus Ezeli will continue to start, but fantasy owners should not be concerned with that. Despite the starter label, Ezeli barely plays and hardly does anything noteworthy when he does see the court. Speights will square off against Sacramento, at LA Lakers, at LA Clippers, and Minnesota. These are all pretty favorable matchups. His value is directly tied to Bogut’s health, but Bogut is likely to be out for about a month, so Speights nice run should continue for a while. Kidd-Gilchrist has been injured for the majority of this season, but made his return to the court on December 10th. It has been a slow process, as the Hornets have eased him back into action. However, MKG finally appears to be rounding into form. The former lottery pick posted a big double-double in a win on Saturday versus the Utah Jazz. He poured in 13 points, 11 rebounds, two assists, one steal, and three blocks on 50.0 percent from the field. This was easily his best game since his return. This is the type of game that the Hornets envisioned when they took him 2nd overall in the 2012 draft. MKG has been a bit of a disappointment though, due to injuries and inconsistent play. He will probably still be a roller coaster ride, as his offensive game is still a work in progress. Kidd-Gilchrist has a few things going for him right now though. One thing you can count on is his outstanding play on the defensive side of the ball. Lance Stephenson is also hurt right now, so someone has to pick up the slack on the wing. MKG should continue to play at least 30 minutes per game, even when Stephenson comes back. The schedule coming up for Charlotte features Denver, at Milwaukee, at Oklahoma City, and Orlando. The opportunity will be there for MKG to be productive going forward. Only time will tell what he does with it. However, he is worth a look this week, at least while Stephenson is out of commission. Mirotic has been a beast over his last two games, averaging 20.0 points, 4.5 rebounds, 2.0 assists, 1.5 steals, 1.0 blocks, and 4.0 three-pointers a game. The increased production coincides with the injury to Taj Gibson. These are the type of across-the-board numbers that Mirotic can put up though when he receives the playing time. Playing time is the issue with Mirotic though. He is the low man on the totem pole in the Chicago frontcourt. His fantasy value right now hinges on the health of Pau Gasol, Joakim Noah, and Taj Gibson. However, if any one of these guys suffers an injury, Mirotic will get a lot of run and has proven to be an asset when he does. Given the injury history of that trio, Mirotic is a pretty good bet to have value as the season wears on. Chicago’s schedule next week includes Toronto, at Washington, LA Lakers, and New Orleans. Gibson is not expected to be out for very long, so Mirotic’s recent run could be short-lived. It is probably only a matter of time though before someone else goes down. If you are looking for a guy with some upside, give Mirotic a look this week when there are very few teams with a four-game schedule.